Mary Uduk the acting director general of the Securities and Exchange Commission Friday noted that financial inclusion in the county has begun to advance, adding that fintech innovators are the main drivers of the revolution. The CBN earlier this month released a draft framework to establish payment system banks that will prioritize financial access through technology-based solutions in rural and underserved areas of the country. The move welcomed by the financial community is seen as a development to further deepen financial inclusion. According to Uduk, financial inclusion plays a critical role in global development as it helps people become financially independent and economically self-sufficient. She was of the opinion that because of the social impact that can be generated through financial technology in terms of ensuring access to financial services and products for the unserved, Fintech can become the engine that enables access to those in need of financial services. “Fintech innovators are the main drivers of this revolution, in some cases leapfrogging the traditional industry with new services and innovative products,” adding that the surface has barely been scratched in relation to what fintech can do in the future,” Uduk stated. She however pointed out that emerging markets will experience rapid growth in financial service provision in substantially less a time than it took developed markets to achieve, stating that financial services over the next 10 years will experience a higher degree of change than in the last 100 years. 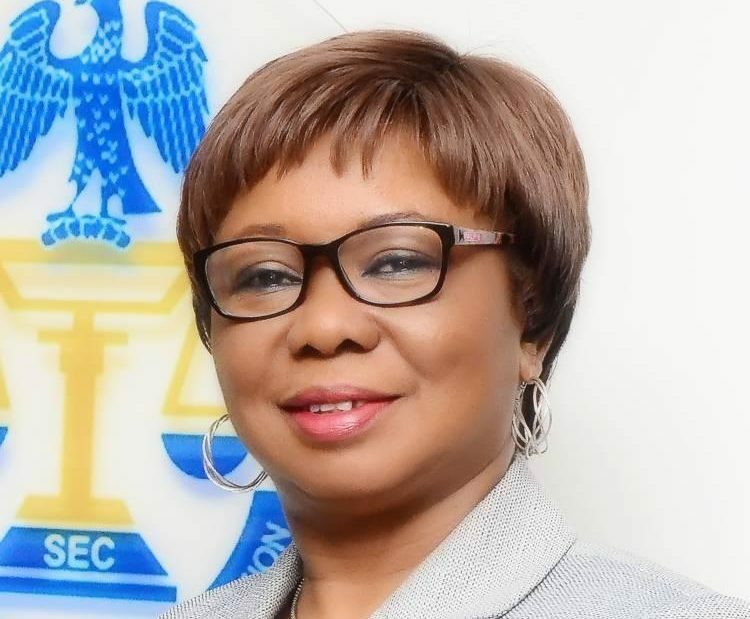 On ways the SEC will further deepen inclusion Uduk said the commission in collaboration with the Nigerian Educational Research and Development Council (NERDC) is already working towards infusing capital market studies into school curriculum. She further called partnership amongst investors, policy makers and fintechs saying partnership is critical to promoting financial inclusion. She also noted that a customer centric approach that puts clients needs at the centre of financial activities is paramount to fully harnessing the power of technology towards driving safe financial inclusion. He said ‘we are innovating with “smart channels” that can deliver on-demand data to investors – including USSD, Mobile Apps, SMS and IVR. This year, we rolled out X-Pay, the e-payment platform for the Exchange. Which enables users to conveniently make payments for products, services, events and trainings offered by the bourse. The NSE boss also explained that the exchange is forging strategic partnerships with data analytics firms and other actors in the fintech ecosystem, to develop solutions, which will help the exchange’s investors around the world to optimize investment decision-making. ‘For this reason, the NSE established the Enterprise Innovation Hub in August 2018. The Hub is well positioned to incubate and accelerate ideas that meet market needs, through collaborative partnerships,’ Onyema said.